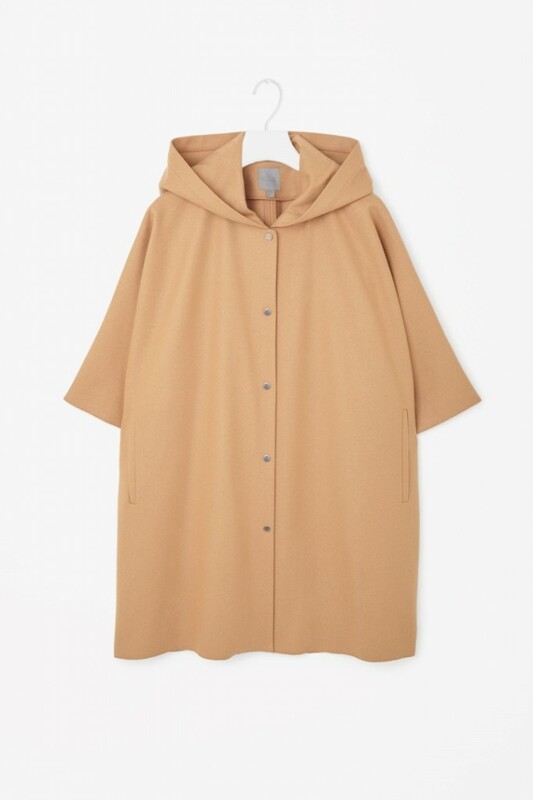 Pretty much every winter the cape makes a comeback. I have several styles in my wardrobe that I can’t wait to bring out from hibernation as soon as the weather takes a turn. I have in-fact got a gorgeous tartan cape that I got when I was still at university. This just goes to show the capes longevity. As with most things sartorially, even if you do have something similar on rotation, there’s always the need for an update. Especially when you know it will be well worth the investment. I would like to add here too, that the cape is the perfect cosy, yet cool, cover-up in pregnancy. Roomy and A-line is pretty much spot on, over any size bump. So here’s one thing that really doesn’t need to be a maternity style. Whether you are lucky enough to go high-end, or prefer to stick to the high-street, I think this year I’m lusting after more of a blanket style. 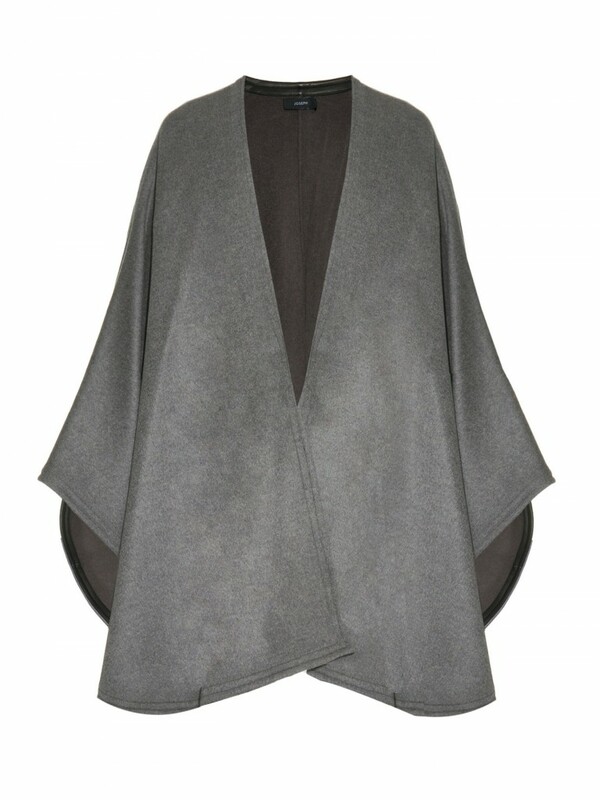 I have a couple of coat-capes but nothing as cosy.This double-faced cashmere and wool blend cape by Joseph is pretty much it. 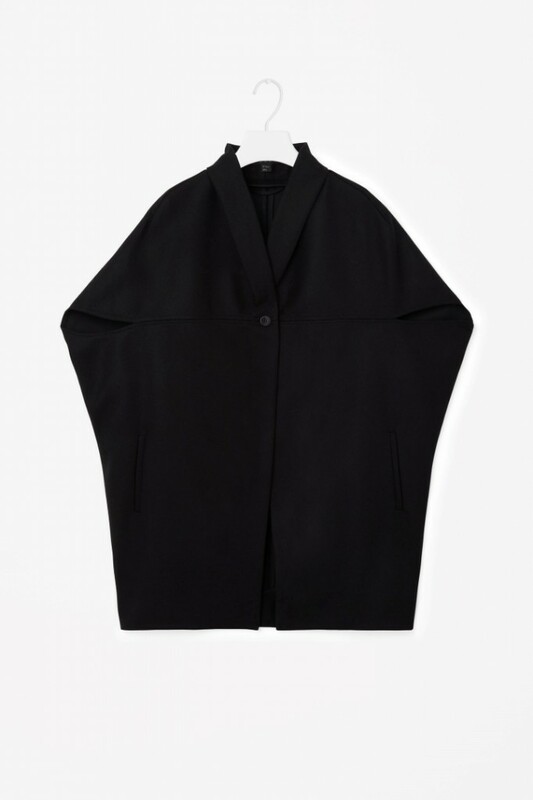 Alternatively look to COS. I’m loving their black and camel wool (coat) versions.